MISSOULA — After drilling three consecutive 3-pointers that touched nothing but the bottom of the net, Ahmaad Rorie found himself on a fast-break out ahead of the overmatched pack of Coyotes at Dahlberg Arena on Monday night. Montana’s all-conference point guard tried to gather himself for a casual one-handed dunk but instead didn’t have quite enough juice. The preseason Big Sky Conference Player of the Year stuffed himself on the rim but fellow UM senior Michael Oguine corralled the rebound and sunk the put-back through a foul. The light-hearted moment — Rorie has already had two poster-quality dunks this season so there’s no doubt the NBA hopeful can throw down with authority —brought laughter from the Griz bench and served as the only resistance Montana faced all night. Playing against the No. 2 team in the country in the NAIA, Montana wasted no time in dispatching the College of Idaho (12-2), working out the kinks of a two-game losing streak in the process. 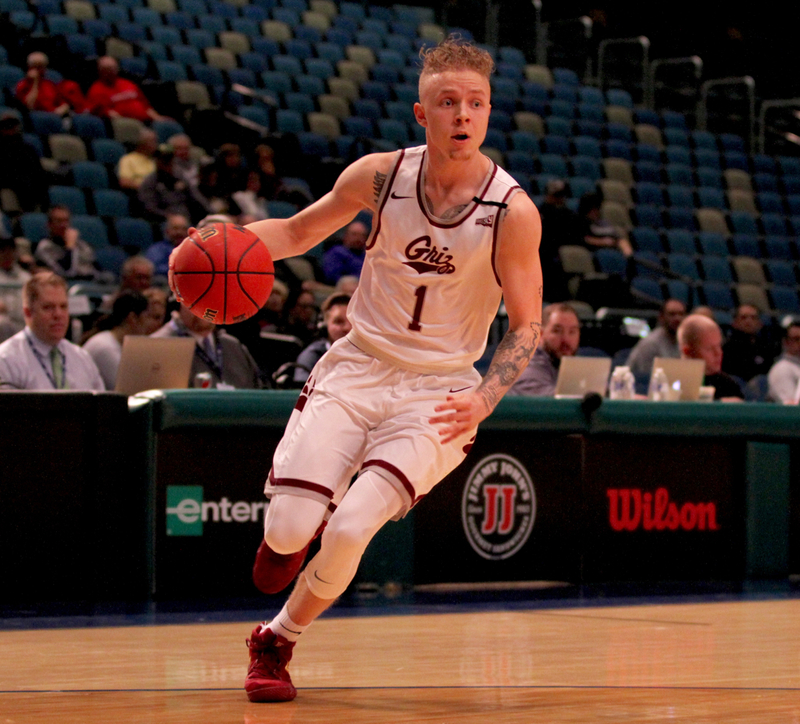 The Griz opened the game on a 19-4 run, hit 20 of 30 shots in the first half to build a 26-point lead at the break on the way to an 80-52 victory in front of 3,040 in Missoula. 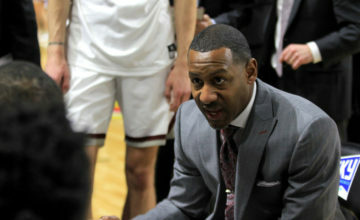 Down a big man since its opener with senior Jamar Akoh out with a wrist injury and down their best creator outside of Rorie in Timmy Falls while in the Bahamas against Georgia Southern and in Omaha, Nebraska against Creighton, the Griz looked disjointed and out of sync in enduring their first losing streak of the season. 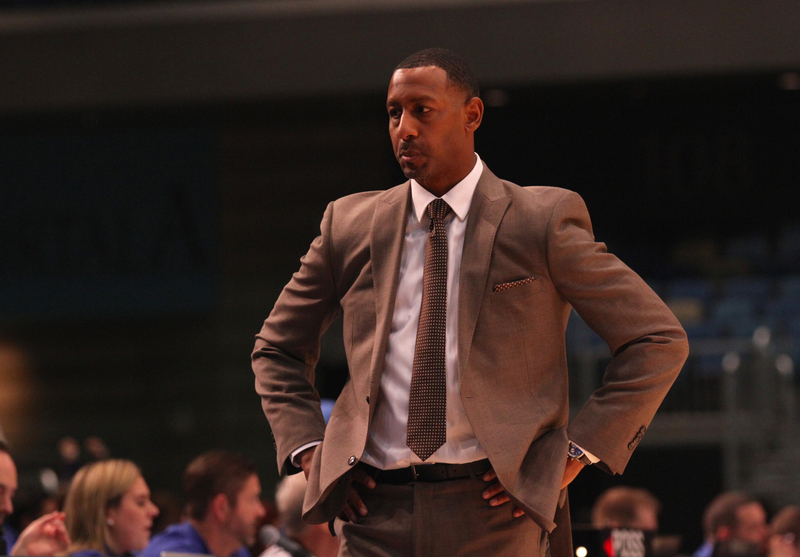 Montana hung with Creighton for 27 minutes before a 3-point barrage buried the visitors in a 98-72 loss. Akoh still sat in street clothes on UM’s bench on Monday but Falls returned from a two-game absence, making an impact right away with his slick passing and quick shooting trigger. He found freshman Mack Anderson underneath for an uncontested bucket that capped the opening 19-4 run, dimed up a trailing Rorie for the second of three first-half 3-pointers for UM’s senior point guard and Falls banged a corner 3-pointer of his own in a first half that saw Montana hit 8-of-13 shots from beyond the arc. When Sayeed Pridgett lofted a slow-motion lob to redshirt freshman center Kelby Kramer for a two-handed dunk, the Montana lead swelled to 31 points, 58-27, less than four minutes into the second half. Falls hit a floater in the lane to double the ‘Yotes’ total, 66-33, with 11:33 left. Senior Bobby Moorehead, who had one of UM’s three first-half fast break dunks to offset Rorie’s mistake, drilled his third 3-pointer to give Montana its biggest lead, 69-35, less than a minute later. From there, DeCuire used a comfortable cushion that never dipped below 28 points the rest of the way to get extra minutes for Anderson and Kramer along with finishing minutes for true freshmen Freddy Brown III, Ben Carter and sophomore walk-on Peter Jones. Four Griz finished in double figures on a night the hosts shot 57 percent from the floor despite hitting just one of 10 from beyond the arc in the second half. Rorie and Pridgett each scored 17 points on a combine 15-of-21 shooting. Moorehead scored a season-high 14 points and nearly equaled his season-total of four 3-pointers with three triples on Monday. Falls finished with 11 points on 4-of-5 and three of UM’s 18 assists. Rorie dished out seven dimes and Pridgett grabbed a team-high eight rebounds. 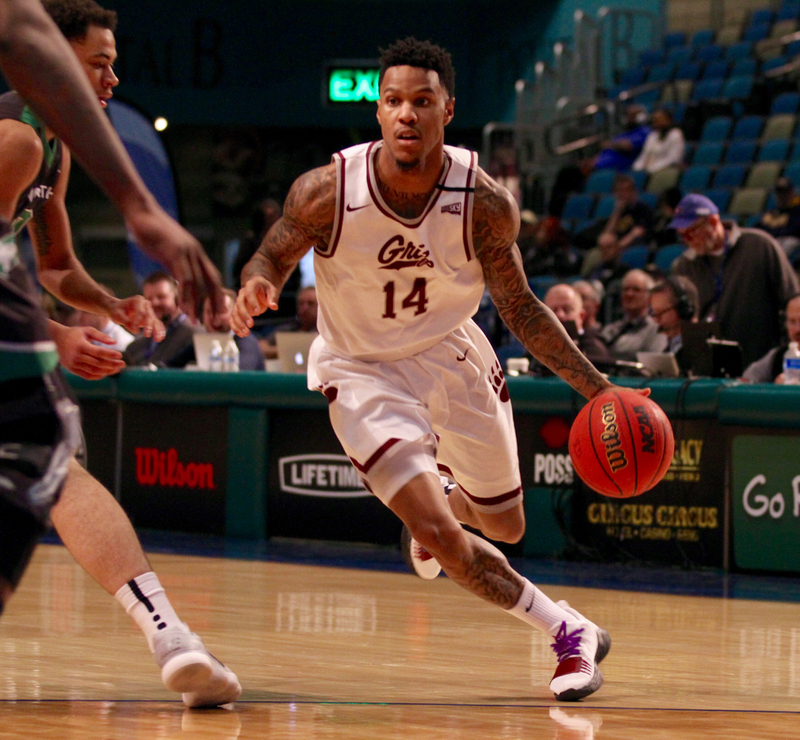 Montana plays at UC Irvine on Saturday. UM beat Irvine 86-68 to spark a stretch that saw the Griz win 20 of its last 23 games last season. Montana’s next and final home non-conference game comes on December 17 against North Dakota State.